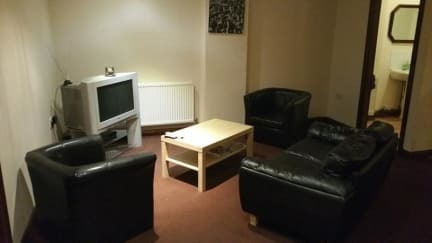 Located in the heart of the Newcastle east end we're not only close to the motorway and all major transport links including the Metro but we're a short walk from the shopping center, any of the city's famous nightlife destinations, Newcastle and Northumbria universities, music and sports venues including St James' Park, art galleries, museums and theatres, the Quayside (ideal for those visiting Hadrian's Wall). We are right next door to a late night convenience store we are located on a busy high street with metro bus taxi stations all next to each other 2 seconds from the apartments. Budget Apartments offers 2 fully equipped apartments. One is a 3 bed apartment for up to 5 guests. It has two double beds, 1 single bed. The other one is also a 3 bed apartment but sleeps up to 6 guests. It has three double beds. In both apartments you also have a microwave and kettle at your disposal with a fully functional kitchen and spacious rooms. Linen and towels included. 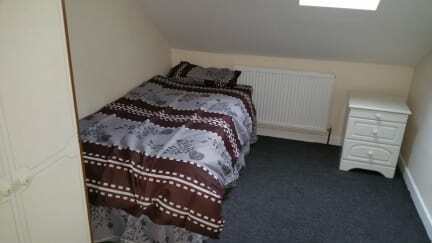 £150 deposit on arrival in cash only refundable after property inspection if no damage. No extra guests allowed any extra people will result in deposit not being refunded. We are not a party property.